There’s nothing like a walk in the woods to clear your mind and calm your spirit. And when the woods are this plentiful, there are lots of places to start your journey. 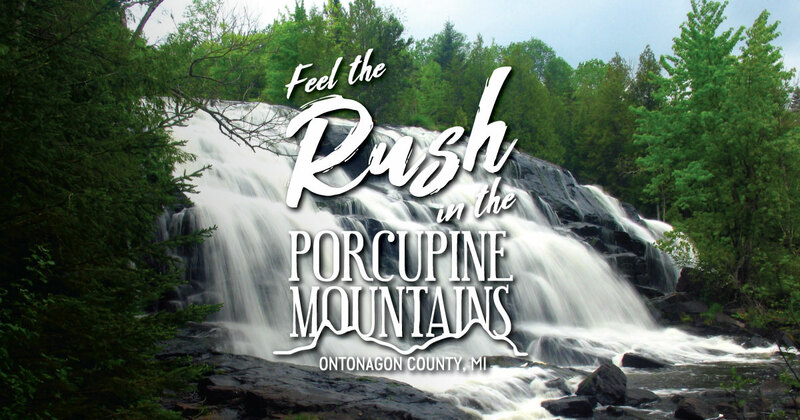 Begin your adventure at the Porcupine Mountains Wilderness State Park, where you can renew your love of nature across 60,000 acres of awe-inspiring scenery and nearly 90 miles of recreational trails. Trails range from simple day hikes to more challenging treks like the 17-mile Lake Superior Trail. Choose any trail, and you’ll be astounded by the natural beauty of the area, whether you’re cresting a ridge to take in the spectacular views at Lake of the Clouds or stopping to rest by a bubbling waterfall. View a map or read descriptions of trails in the Porcupine Mountains Wilderness State Park. The state park is also home to 23 miles of the North Country Trail, which stretches from New York to North Dakota. The North Country Trail uses the following trails in the park: West River, Lake Superior, Little Carp River and Lily Pond. Hiking is also available in the Ottawa National Forest, the Black River Harbor Recreation Area and the Sylvania Wilderness Area. Learn more about Local Trails here. Want to know what to pack and where to go? Check out our fun hiking infographic on How to Hike the Porkies.